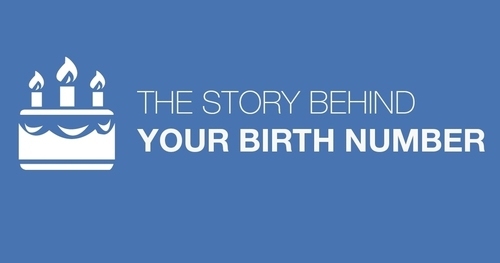 Do You Know Your Birth DAY Meaning? The ancients named the seven days of the week after the seven visible spheres — the Sun, Moon, Mercury, Venus, Mars, Jupiter, and Saturn. By referring to the English, Roman, Norse and French languages, it is very easy to see the connection between these spheres and our and our days of the week. You probably realise that a particular heavenly sphere rules your birthday star sign but the day of the week also has a supplementary ruling planet that can influence your character. Order in week: Traditionally viewed as the first day of the week by the ancient Hebrews and as a day of rest and worship. Sunday’s child has the majestic, radiant Sun as a supplementary ruler in the horoscope, regardless of the date of birth. This child will never be satisfied with anything dull or ordinary in their lives and they will always be like a ray of sunshine with their aura of lightness and brightness. The associated colours are Orange, Gold, Yellow and the bright sunny colours. Folklore: It was believed by ancients that there were 3 Mondays during the year that were considered unlucky: 1st Monday in April, 2nd Monday in August, and the last in December. Mondays child has the Moon to play a big role in their lives. This orb, with its waxing and waning cycles, is changeable, so this person will find that their moods and feelings fluctuate between ups and downs. The Moon is the key to home, family ties and the familiar, ordinary things. This person will derive great satisfaction from these fundamentals. Meaning: Tiw’s day, the old Norse equivalent to the planet and god of Mars. The French name for Tuesday is Madi. Order in week: Traditionally viewed as the third day of the week. Folklore: Mars was the Roman god of war. Tuesday’s child has the ruling planet of Mars, which symbolises a fighting spirit, the will to win, a desire to lead the way, to show initiative, to be active, to get up and go, to achieve success and to progress through effort, drive, enthusiasm and energy. Meaning: Woden’s day, the old Norse equivalent to Mercury. The French name for Wednesday is Mercredi. Order in week: Traditionally viewed as the fourth day of the week. Wednesday’s child will inherit some of the restless and questioning qualities associated with Mercury. Therefore, if your birthday star sign belongs to one of the placid categories such as Taurus, Cancer, Virgo, Libra, Capricorn or Pisces, and yet you are anything but placid, maybe you were born on a Wednesday (ruled by Mercury), a Tuesday (ruled by Mars), or a Sunday (ruled by the Sun). Meaning: Thor’s day. Thor was the mythological god of thunder, also known as Jupiter, and therefore related to the planet Jupiter. Oder in week: Traditionally viewed as the fifth day of the week. Folklore: The Latin for the fifth day was “dies Jovis”, meaning “Jove’s day”, for Jove, or Jupiter, the god of thunder and rain. Thursday’s child is ruled by Jupiter, the most beneficial of all the planets, the symbol of expansion, happiness, optimism, good humour, room to move – either mentally or physically, spaciousness, freedom and independence. This child will need these types of things. Meaning: Frigg’s/Frica’s day, old Norse equivalent to Venus. Order in week: Traditionally viewed as the sixth day of the week. Folklore: Friday was held sacred to Venus, th Roman goddess of love. In French, Friday is known as Vendredi, which shows a link with the name Venus. Friday’s child has the supplementary ruler of Venus, the planet of beauty, love, affection, sharing, artistry, pleasure, colour, elegance, refinement and romance. This child will usually fill their lives with these beautiful things. Order in week: Traditionally viewed as the seventh day of the week. Folklore: Saturday was named in honour fo the Roman god, Saturn. The Hebrews called Saturday the “Sabbath”, meaning day of rest. The Bible identifies Saturday as the last day of the week. People born in the star sign Capricorn have Saturn as their ruling planet. This combination makes the serious-minded, ambitious, responsible, mature, cautious, down-to-earth, practical and realistic. Plans and projects will usually be long-range and well thought out rather than done on impulse. Saturday’s child inherits some of these qualities of Saturn and Capricorn. With Saturn’s influence, this child may not be the quite so dreamy Piscean; frivolous Gemini; the impulsive, happy-go-lucky Sagittarian or domineering, bombastic Leo. Saturn both subdues and consolidates the qualities of each star sign.